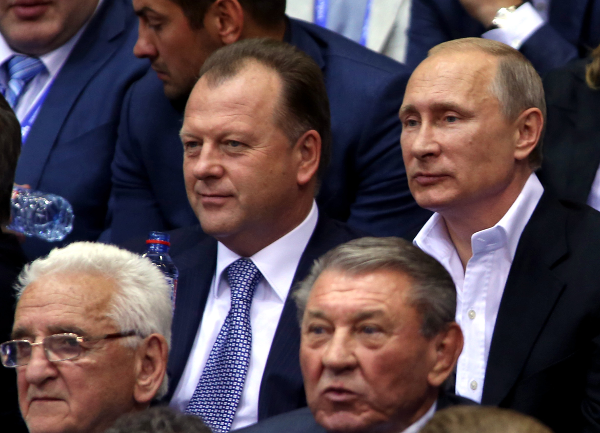 The World Championships, Chelyabinsk 2014, delivered one last day of scintillating judo as the Team Championships took centre stage on the final day in front of Mr. Vladimir PUTIN, President of the Russian Federation and IJF Honorary President. The French team said: “Despite the extreme tiredness it is really good to finish on the top of the podium. The team event is something special and different from any other event. Most of us we fought in the individual tournament. I was difficult to restart again a new competition day, which is really long. But all together we found the necessary energy to take match after match and to win. 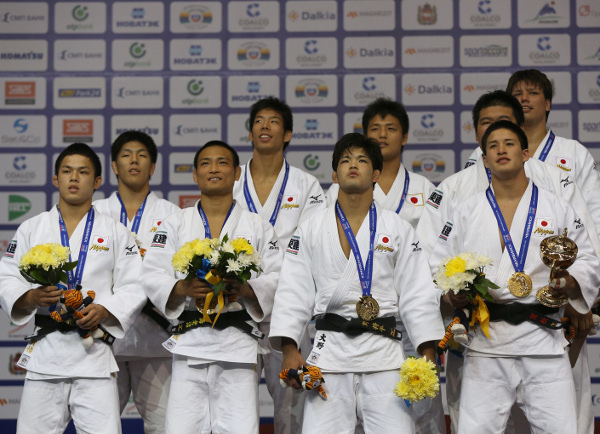 When we go on the tatami, we forget that we are tired and we want to win. That is what we did today." 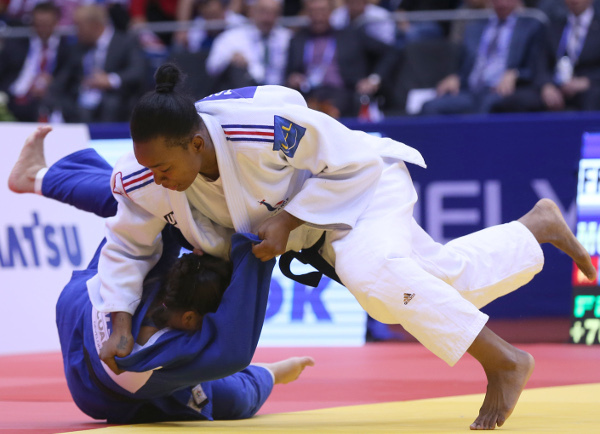 In the semi-final France beat Japan 3-2 as Margaux PINOT (FRA) conquered TACHIMOTO Haruka (JPN) in the third contest to send her team through. In the second semi-final Mongolia shaded an impressive Poland team as TSEND-AYUSH Naranjargal (MGL) bested Katarzyna KLYS (POL) to put her team 3-1 ahead before they added an extra win in the heavyweight contest. The first team bronze medals were won by Germany who looked to Ulaanbaatar Grand Prix runner-up Luise MALZAHN (GER) for inspiration and she held her nerve in the decider against Daria POGORZELEC (POL) who had two shido penalties while her opponent pitched an unblemished record. 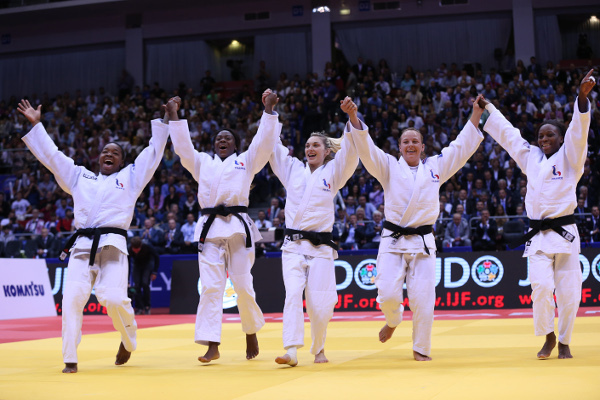 The second team bronze medals went to JAPAN who lost their 2013 title but salvaged the final place on the women’s podium with a win against RUSSIA. 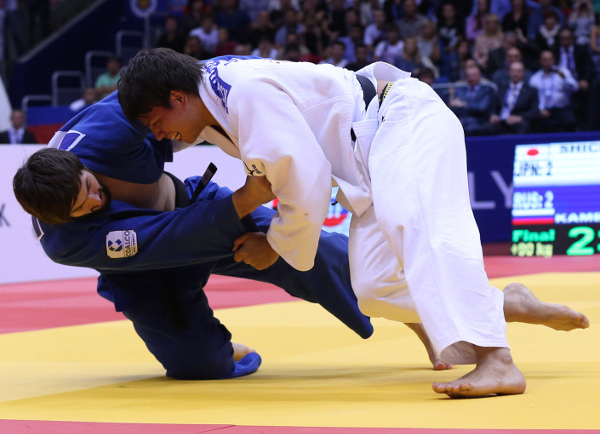 Like so many matches before and after this engrossing battle, the winner was decided in the final contest as YAMABE Kanae (JPN) defeated -70kg judoka Irina GAZIEVA (RUS) was only selected for the team event. YAMABE scored with a osoto-otoshi for waza-ari and earned the same score with a ouchi-gari to send her team onto the podium.